Flash-forward a few more weeks, you are leaving to meet a few vendors, thinking why your sales have been dropping if the restaurant industry is blooming. You step outside of your restaurant and see your next-door restaurant competitor flooded with orders, while UberEATS drivers wait in line to pick up packages. Everything connects now. You have been ignoring the experts’ projections stating that, by 2020, 70% of restaurant sales will come from off-premises. Delivery is crucial to attract the soon-to-be largest customer group, the millennials, and it will help your business to stand out from competitors that are still struggling with the subject. You decide to tackle this issue and are determined to implement delivery options, but then you stumble upon the first challenging decision: should you outsource or assemble an in-house team? To help you answer this recurring question, we have explored both scenarios to provide you with pros and cons, so you can have enough information to decide like a delivery expert! 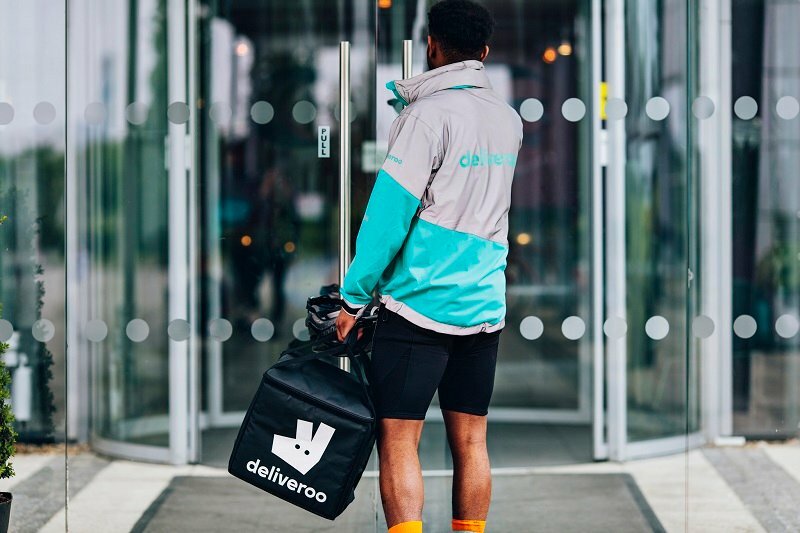 The delivery industry is full of local start-up companies that have developed ingenious systems to handle the increased demand for food-at-your-doorstep. These smaller companies have thrived in smaller markets, and because they have the ability to adapt faster than their larger competitors, many local businesses have partnered with them looking for their specialized, localized solutions. So, here’s the first tip: if you own one or a few locations, outsourcing your delivery efforts with a local company may be cheaper and more effective. But, on the other hand, you’ll carry the risk of not having the latest technologies available with that supplier. For instance, take one of the biggest food delivery companies in North America, UberEATS. It’s continually investing in new technologies and services, increasing its presence on a global scale, and always trying to promote significant industry change. So, if you partner with them, you may have the benefit of using their services in another city or country in case you decide to expand your business to another market. The downside is that you may face some challenges when trying to solve an operational issue with them or customize any part of the service. For larger corporations, internal bureaucracy can slow down processes and affect the end solution. Another advantage to outsourcing your delivery is that you can get access to all users inside the provider's platform. When someone has a hard time deciding what to order but is using the UberEATS app, for example, there’s a good chance of your restaurant appearing amongst the available options. The higher your position in the suggestions list, the better your chances to get the sale; and since almost every single millennial uses geolocation to narrow down their options, it’s a good move to expand your restaurant’s audience especially among local residents. One drawback to outsourcing is that these customers are loyal to the platform, not to you. You have limited tools to build a relationship with the customer outside the app and little control over customer touchpoints or service experience. Now, if you want to control all delivery touchpoints with your customer, you should consider setting up your own team. Not only you’ll decide what type of options you’ll offer, such as a mobile app, text messages, or phone calls, but you’ll also be able to control how the person delivering your food will behave in front of your customer. And, when aiming to differentiate, this might be the most critical piece of the puzzle. It’s not hard to find customers complaining that they didn’t receive their order as promised or were treated disrespectfully by the person delivering their food. So, by itself, having total control over who is delivering your food and how this is being handled, is the greatest benefit of not using a third party to do so. The most critical challenge of this approach is that you may add a considerable cost to your operation, and that’s why we don’t hear very often about small companies managing their own delivery team. Besides the cost, you’ll also face a substantial increase in staff members, which can demand a substantial chunk of your management time and use of human resources. At the end of the day, it depends on which benefits you want to enjoy from each approach. If you believe that controlling every aspect of your business is the key to success, go for it. You can still outsource some of the tasks necessary for delivery to happen, lowering down your costs and keeping control from the minute an order is placed up to the delivery point. However, if you don’t want to add that extra work and cost to your operations, and also benefit from a suppliers’ network, you are among all the other businesses that use local partners or global service providers. Really and truly, the most critical piece of a successful delivery operation is to give the customer what has been ordered. Cold food must be cold. Warm food must be warm. And a pizza shouldn't arrive looking like mashed potato.